More than 100 local and global organisations have put their hand up to deliver the Melbourne Airport Rail Link. 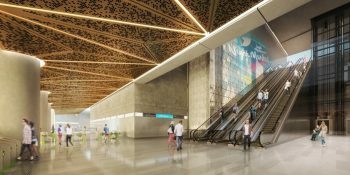 The search is on for businesses, investors and constructors with the know-how and experience to help deliver the Melbourne Airport Rail Link. A re-elected Andrews Government will embark upon the biggest transformation of public transport in Australia’s history, with a new underground rail network set to circle Melbourne’s suburbs and connect every major train line from the Frankston line to the Werribee line through Melbourne Airport. The.. The Andrews Labor Government has finished building 177 new car parks at Keilor Plains station, giving passengers in the growing west an easier trip to work or school in the morning. The Andrews Labor Government will add 10 more train services in the peak, every week on the Sunbury line from 27 August. The Andrews Labor Government will add 10 new Sunbury line train services in the peak, every week – to get people in Melbourne’s West home safer and sooner. The Andrews Labor Government is building more than 220 extra commuter car parks at Keilor Plains station to make it quicker and easier for people to drive to the station and catch the train. The Andrews Labor Government will build up to 220 extra car parking spaces at Keilor Plains to make it easier for passengers to find a park and catch the train. The Free Tram Zone will be extended and extra Metro and V/Line trains will help footy fans from Victoria and around the country celebrate Grand Final Week in Melbourne. Work on the Metro Tunnel – the biggest public transport project in Victoria’s history – has begun. A major construction blitz as part of the removal of two level crossings in St Albans, will take place during an extended rail and road closure in October and November. The tender for construction of up to 220 extra car parks at Keilor Plains station has been released to market. The Andrews Labor Government has announced wide-ranging reforms to make Victoria’s fare enforcement system more simple, fair and effective. Victorians can now plan their public transport journey on Google Maps. The Andrews Labor Government has nearly doubled its order of high-capacity trains, making it the biggest single order of trains in Victoria’s history. 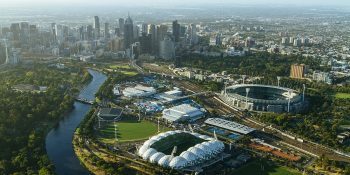 Geotechnical drilling on the Yarra River has begun as part of the largest public transport project in Victoria’s history – the Andrews Labor Government’s Melbourne Metro Rail Project.